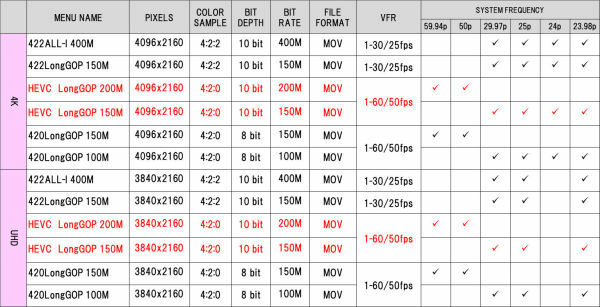 For its 5.7K S35 camera EVA1, Pansonic today offers free firmware 3.00 -- now including a HEVC/H.265 codec, which can now record internally in 4K mode in 10bit (4:2:0) with up to 60fps. Furthermore, the camera becomes multicam capable thanks to the support of USB-LAN adapters with IP control, via which it can be connected to the CyanView Cy-RCP Remote Control Panel. New functions are added to the freely assignable User Buttons, so that a faster change of the shooting settings (such as frame rates) should be possible. Other small improvements are an SDR preview for HDR/HLG recording, an unspecified "focus indicator" in the LCD, two different presets for automatic white balance, and the ability to save photos while video is being recorded. 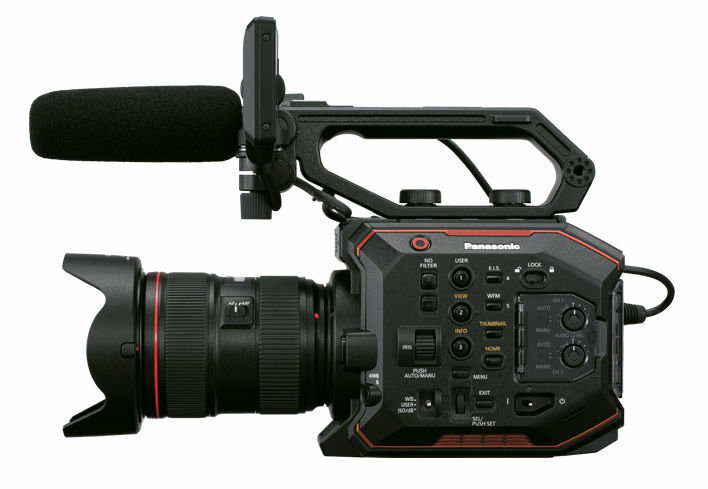 There is also a price change, as Panasonic has been offering the EVA1 for several weeks for an RRP of 6,790 Euros net (8,080.10 incl. VAT), i.e. 500 Euros less than before. The camera has been available since autumn 2017.